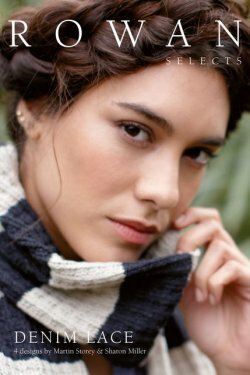 Four FREE patterns from Rowan for Denim Lace AVAILABLE HERE! 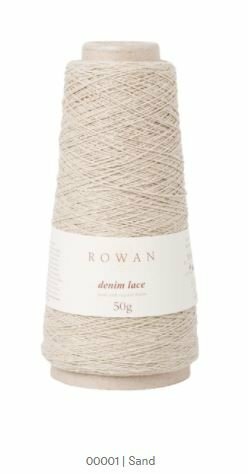 Rowan Selects Denim Lace is sourced from recycled denim and spun into a lovely lace-weight yarn. 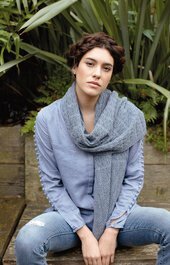 Muted denim hues are perfect for lightweight shawls, scarves and pullovers that have an old world feel. 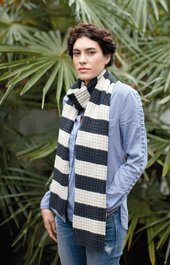 Selects Denim Lace is perfect for weaving too! 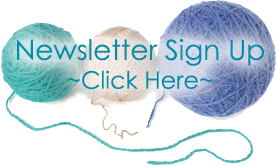 Whether you use a hook, needle or loom, you’ll fall in love with the rustic charm of this yarn. A lace weight yarn ideal for texture and lace stitches and can be knitted with Rowan other lace weight yarns. Originally soured from recycled denim this yarn is 95% cotton and 5% other fibre, this is the vintage denim from the recycling process spun and transformed into yarn. Available in 6 shades from denim blue, to neutral. Care Hand Wash Cold. Lay flat to dry.